MEDINA, Ohio — CVS Health has acquired Ritzman Pharmacies and has plans to close almost all of its 20 Ohio stores and transfer the prescription files. Terms were not disclosed. Ritzman’s units in Akron and Berlin will be rebranded CVS Pharmacy. The Ritzman locations in Rittman, Shreve, Sugarcreek, Wooster-Milltown, Medina-River Styx, Millersburg, Barberton, Wadsworth, Norton, Seville, Green, downtown Wooster, Ashland, Orrville, Medina-Forest Meadows, Dover, and Jackson will be shuttered, with their prescription files being transferred to nearby CVS Pharmacy stores. 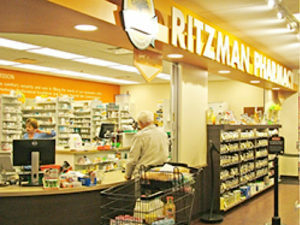 Ritzman is withdrawing its participation in its joint venture pharmacy with Northeast Ohio Medical University (NEOMED). NEOMED will be reviewing its options for handling the venture’s pharmacy business. The acquisition is expected to be completed by the end of February. The companies are working to ensure that the transition will be seamless for customers and their access to pharmacy care is not interrupted. CVS also expects to ­interview any Ritzman employee who is interested in joining the Rhode Island-based chain. Ritzman owns a management company, VAR, that will continue its management of Summa’s Home Infusion.